Beside the big Concha Beach in San Sebastian in the North of Spain this is another popular beach - especially for surfers in the neighboorhood. Here from a visit in the end of November. Zurriola Beach went under extensive redevelopment in 1995 when it was enlargened considerably. It is located in front of the Moneo Cubes. This beach faces onto the open sea and attracts many surfers all year round. 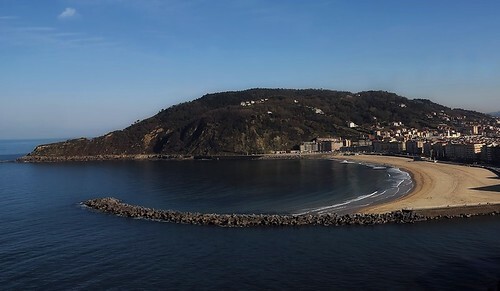 It has the same facilities as the Concha as well as a children’s club during the summer, a surfing school and surf boards for hire (all year round).